Vans are much more than just driveable tin cans – they provide tens of thousands of tradies, delivery drivers and hobbyists across Australia with a workplace on wheels – they act as a means of getting things from A to B, and double as a mobile office in which to do paperwork and make important business calls. As well as offering decent load-carrying capacity, vans need to offer their drivers smart, practical cabins with adequate levels of safety, and equipment that can make their day-to-day lives on the road more comfortable and more manageable. 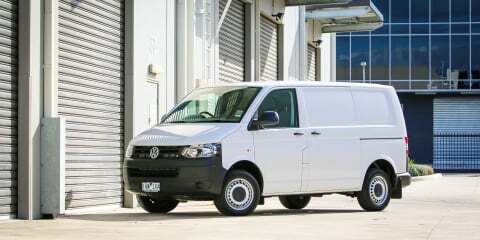 The light commercial van segment in Australia has been strong for years, accounting for about 22,000 sales per annum with mid-size models selling in the biggest numbers – 15,552 units in 2013. As is the Australian way when it comes to buying cars, Toyota has reigned supreme in recent times with the HiAce generally accounting for more than 40 per cent of sales. We could think of no better way to see if the majority of van buyers are making the right decision than to put the recently facelifted Toyota HiAce up against the six other best-selling vans in the country. 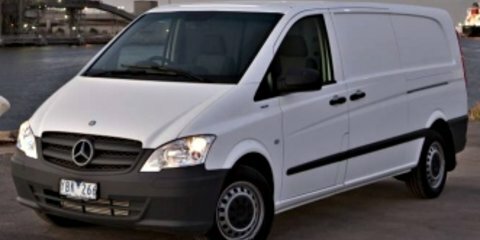 They are (in sales order): the Hyundai iLoad, Renault Trafic, Volkswagen Transporter, Mercedes-Benz Vito, Ford Transit Custom and Fiat Scudo. All vans tested were diesel powered as the vast majority of vans sold in Australia use that fuel rather than petrol. That’s not to say there aren’t petrol versions available – the HiAce and iLoad both offer cheaper entry models that run on unleaded. We took the smallest versions of each van available to keep things competitive. There are long-wheelbase versions of the Transit, HiAce, Vito, Trafic and Transporter, all of which attract a premium but extend the usability of the van. There’s a budget player here, and it’s the Fiat. As the Italian brand has done with its passenger cars, Fiat Professional is moving aggressively in the commercial vehicle segment – the diesel manual Scudo is $28,990 plus costs in sole long-wheelbase guise (or $32,000 drive-away). There’s no auto model available. Next up the price scale is the Renault Trafic, which is due to be replaced by an all-new version in 2015. The current van is in run-out, with its usual $34,990 plus costs asking price for the diesel manual having been slashed to an attractive $29,990 drive-away for the end of financial year sales. There’s a semi-automatic version, too, which adds $3000. Third most affordable is the iLoad, with Hyundai setting the diesel manual’s kick-off price at $36,490 plus costs. Auto versions – as we tested – attract a premium: $38,990. The class’s biggest seller is the fourth most affordable in the broader sense, with the diesel manual HiAce selling at $36,990 plus costs. We tested the four-speed auto diesel Toyota, which is steeper at $39,490. Next up is the Volkswagen Transporter*. The entry-level TDI250 version starts at $36,990, while the TDI340 mid-range model that starts at $37,990 plus costs. We had the TDI340 DSG automatic variant: $40,990. The newest van here creeps a little higher for its base price – the Ford Transit Custom is priced from $37,490 plus costs. It’s currently only available with a manual gearbox – an auto is due within 12 months, and it should be priced below $40,000. The dearest van on test is the Mercedes-Benz Vito, priced at $38,990 plus costs for the 110CDI model. It’s manual only in this spec, meaning buyers after an auto need to opt for the more expensive longer-wheelbase version. When it comes to equipment, one falls well short. The Volkswagen is the only model here that doesn’t come with standard Bluetooth phone connectivity – so much for the mobile office! – though it is available as part of a media system upgrade (adds $590); it has no steering wheel-mounted audio controls (also $590) as all others here have; and along with the iLoad it misses out on cruise control that is standard for all others here. Others have creature comforts: the Scudo, for example, has heated wing mirrors for foggy mornings, and the Ford takes it a step further with seat heaters (for all three!) and digital radio reception. The Vito and Renault also have cruise control with speed limiting, so drivers can rest assured they won’t be dealing with unwanted paperwork from the police. This bunch is a jumble in terms of safety equipment. The Ford Transit Custom ticks the most boxes – it has dual front, front-side and head protecting curtain airbags as standard, which no other van here is fitted with. Only the VW and Vito come close, with side airbags available as an option (not with bench seat in the Transporter). The rest – with the exception of the Scudo – are fitted with dual front airbags. The Italian brand still offers a passenger airbag as an added cost extra, which we think is reprehensible. There are other safety shortfalls here. The Toyota HiAce is the only model of these seven that doesn’t yet come with potentially life-saving electronic stability control or traction control as standard – indeed, it’s not even available as an option. The rest have the system, which will be mandated for all vehicles by 2017 – and we’re shocked it wasn’t included in Toyota’s recent HiAce update. However, the HiAce wins some points back for the inclusion of a reverse-view camera – it’s the only vehicle here with that technology included across its entire model range as standard, with the monitor housed in an auto-dimming rear-view mirror. Only the Ford also had a camera, though it was part of an optional City Pack ($1500) that includes front and rear parking sensors, auto-dimming mirror and trailer hitch assist. Backing up is a big part of van life, and of the rest of the vans here only the Fiat Scudo had standard rear parking sensors. Front and rear sensors and a reverse-view camera are available on the iLoad as options (front: $326; rear: $285; camera: $1337). Volkswagen offers rear parking sensors ($490) or front and rear sensors ($890), while a reverse-view camera adds $1000 – but buyers must also pay for a satellite-navigation media screen that adds a huge $2490 to the price (total: $4380 for front, rear, camera and nav). And there’s no excusing the Hyundai iLoad, which is one of four vans here with seating for three people, but only offers a lap seatbelt for the middle chair – an inexcusable oversight. Opt for the petrol iLoad and you’ve also got to pay for ESC, too. When it comes to official crash test safety ratings, there are two stars (pun intended) that shine brighter than the remainder – the Ford with its five-star Euro NCAP and the Mercedes with its five-star ANCAP rating. Four stars have been awarded to the Volkswagen (Euro NCAP), Hyundai and Toyota (ANCAP), while the Fiat has a three-star Euro rating. The Renault is the lowest-ranked model here, with a dismal two-star Euro NCAP score. With models of varying ages represented here, there are some good and, well, not-so-good cabins on show. The Toyota HiAce is far and away the hardest to get into and out of, as you have to hoist yourself above the front wheel with no useful step to do so. The Fiat is the easiest to slot into thanks to its car-like driving position. All the others manage to make do with reasonable step-in egress, with the Ford Transit judged second best by our testers. Seating arrangements for each van vary. You can only get bucket seats in the Toyota and Mercedes, while bench seats are optional in the Fiat and Volkswagen (both fixed in place). The Renault, Hyundai and Ford feature a standard three-seat configuration, but only the iLoad offers a sliding bench to liberate more leg-room. Presentation also differs greatly. The Toyota feels well put together but lacks pizzazz, whereas the Ford looks flashy but had one or two less-than-perfect finishes. The Renault Trafic has multiple contrasting plastics across the dash – we don’t really know why. The Volkswagen is typically Teutonic and clinical in its design, while the iLoad’s edict is simplicity and ease of use. The Fiat? Well, it has what could be a fruit bowl integrated into its dashboard, grey plastics and bright blue fabric seats – in other words, it feels a bit hodgepodge. Storage is a key thought for van drivers – loose paperwork, samples to show customers, devices and phones all need a place to be holstered. In this regard, there are two standouts among this pack – the Fiat, with its massive overhead shelf ideal for folders and booklets; and the Volkswagen, with its numerous small-item cubbies. The Ford also impressed with large bottle holders and huge door pockets, as did the Renault. Worst was the Toyota – its cup-holders are placed behind the driver’s line of sight. When it comes to the business end – the back – there are some big differences. Let’s look at access first. Barn doors are standard on the Fiat, Ford and Renault, and optional on the Volkswagen. As we found out while attempting to forklift in pallets, these were essential if you need to lug big loads. The Fiat even comes with the option of air suspension for those who spend a lot of time with weight over the back axle. For those who prefer a lift-back and can do without twin swinging doors, the Toyota, Hyundai and Mercedes come with a top-hinged rear door as standard (without the option of pallet-friendly barn doors). The Renault can also be optioned with either style at no cost. Side access for the Ford and Toyota consists of a kerb-side door only. The Fiat Scudo, Hyundai iLoad and Mercedes-Benz Vito all offer twin side doors as standard, while the Renault and Volkswagen have a left-side slider on all models, with an additional driver’s-side door available at extra cost. Outward vision is a particularly important element for drivers who spend a lot of time in town, and the Trafic offers a glazed sliding door as standard – great for when you’re looking over your shoulder. The same can be optioned on the Scudo, iLoad, Vito and Transporter. Neither the HiAce nor the Transit can be had with a glazed sliding door, and the Ford’s rearward vision is further impinged by its standard bulkhead that has only a small window. Still, it is commendable that Ford offers this package (and personnel) protection as standard. No other vans here come with a bulkhead, though the Fiat tested did have an optional heavy-duty barrier fitted. For those who cart tall loads around often – florists, landscapers and nurseries, for example – the optional mid-roof body style of the Volkswagen could be enticing. Of these seven, it’s the only one with multiple roof heights available in its shorter-wheelbase variant – and there’s a high-roof option for the long-wheelbase, too. 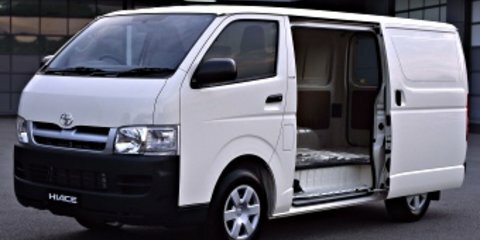 Toyota has a higher roof on the dearer super-long-wheelbase HiAce as well. In terms of sheer size, there is 440 millimetres between the longest (Scudo: 5135mm) and shortest (HiAce: 4695mm). For width, there’s a sizeable 291mm gap between the broad Transit (1986mm) and the narrow HiAce (1695mm). However, there’s just 88mm in difference for height, with the Transporter the tallest (1990mm) at the other end to the Vito (1902mm). Despite its dimensions, Toyota claims a 6.0m3 load space, equalling the Fiat and bettering the Ford (5.95m3), VW (5.80m3), Vito (5.2m3) and last-placed Renault (5.0m3). Hyundai hasn’t supplied a figure for this, but based upon our calculations the iLoad has about 5.2m3 available. What really matters, though, is the useable space on the floor of the van. In that regard, the Ford trumps its competitors with a huge 3085mm of load length, 1775mm of load width (including a benchmark wheel-arch gap of 1390mm) and cargo hold height of 1406mm. The next longest load space is the Toyota HiAce at 2930mm, but it suffers from its narrow body with just 1545mm of width and a wheel-arch gap of only 1120mm – making it the only van here too narrow to fit a standard pallet. It also has a low load height at 1335mm. 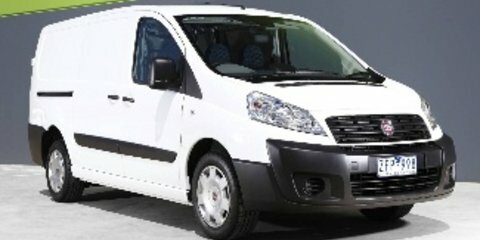 The Fiat Scudo has the next longest load space at 2584mm, with 1600mm of width to play with and a wheel-arch gap of 1245mm. Its height is 1449mm. The bobble-topped Renault Trafic has a decent 2400mm of load length, with 1690mm of width and a wheel-arch gap of 1260mm. It’s on the shallow side in the load area, with 1387mm of height. Despite measuring second largest for exterior dimensions, the Hyundai iLoad has just 2375mm of load length and a short 1350mm of load height. It’s not particularly broad in the back, with 1620mm of width and 1270mm between the arches. It’s the only one of these seven vans with floor-mounted tie-down rings that could be annoying when sliding heavy items into the load area. All other vans have hooks or rings on the walls of the cargo space. The Volkswagen Transporter has a shortish 2353mm of load length but a broad 1692mm wide floor, 1244mm between its wheel-arches, and a taller than average 1410mm load area height. The shortest load space here is the Vito. It has 2222mm of length at its disposable, but its hold is 1411mm high and 1630mm wide with a 1270mm gap between the rear wheel housings. In terms of towing capability, the Ford comes top of its class with up to 2500kg of braked towing capacity. The Renault, Mercedes and Volkswagen all offer 2000kg braked, while the Hyundai has 2000kg towing only for the manual version (1500kg for the auto). The Fiat is rated at 1950kg, but the Toyota has only 1400kg of capacity. The Toyota also has the smallest payload – or permissible load weight – at 965 kilograms. It is bettered by the Ford (1032kg), Hyundai (1113kg), Merc (1180kg), Fiat (1200kg), Renault (1244kg) and the best-in-class Transporter (1248kg). All of that load capacity and lugging ability means nothing if the thing under the bonnet – or under the front seats, in some cases – isn’t up to the task. Thankfully, though, there were no real disappointments among these seven vans in terms of their powerplants. We’ll go through them in descending order for their pulling power (torque) outputs. The most powerful example here is the Hyundai, with its 2.5-litre turbo diesel four-cylinder producing 125kW of power at 3600rpm and a huge 441Nm of torque at 2000-2250rpm – though if you prefer a manual gearbox, those numbers drop 100kW/343Nm. It’s the pick of the engines in terms of outright grunt, though it does lack some of the refinement of the newer players, and its consumption is the highest here at a claimed 8.8 litres per 100km. Its five-speed automatic was up to every task we threw at it, with quick-thinking smooth shifts as the grunt went to the rear wheels. The next punchiest – and the most refined – is the Ford. Its 2.2-litre turbo diesel produces 92kW at 3500rpm and churns out 350Nm from 1450-2000rpm. We found it the smoothest and most linear in terms of its power delivery, though there was a little bit of low-rev lag. The Ford’s claimed fuel use of 7.1L/100km also betters all of its competitors, but the fact it is six-speed manual only with power sent to the front wheels rather than the rear could deter some buyers. It wouldn’t deter us, though. Volkswagen’s Transporter has a 2.0-litre turbo diesel four-cylinder with 103kW at 3500rpm and 340Nm between 1750-2500rpm. As such, it can be a little sluggish very low in the rev-range, which can be exacerbated by the dual-clutch auto’s hesitancy to take off from a standstill. However, for bursts of acceleration on the run, the Transporter proved eager – a little too much so for its front-drive underpinnings to handle at times (but there’s an all-wheel-drive model if you spend more). Its claimed fuel use is 8.2L/100km. The Toyota has the biggest engine here in terms of outright capacity, but its 3.0-litre turbo diesel four-cylinder somehow produces just 100kW at 3400rpm and 300Nm at 1200-2400rpm – well down on what it feasibly could churn out. To add further weight to the fact the engine isn’t doing everything at its optimum level, the Toyota’s fuel use the highest here at 8.5L/100km (claimed). Some of that could come down to its four-speed automatic, which makes the engine work harder than it otherwise may. The rear tyres can also come under stress due to that lack of a of traction control function. Fiat’s Scudo reverts to the smaller engine formula with its 2.0-litre four-cylinder turbo diesel producing 88kW at 4000rpm and 300Nm at 2000rpm. The engine can get a bit bogged down low in the rev range but there’s a punch of mid-range pulling power once it hits the right band. Claimed fuel use is good at 7.4L/100km. The Scudo only comes with a six-speed manual gearbox, with power sent to the front wheels. This gearbox was by far the worst of this set in terms of shift action – it is sloppy and we noticed the clutch could thump upon throttle reapplication. The Renault’s 2.0-litre turbo diesel four-cylinder has only 85kW at 3500rpm and just 290Nm at 1600rpm, quite low given the size of the van. But the engine is smooth, offers relaxed – but not lazy – power delivery, and despite lagging from a standstill, it was found to be one of the most enjoyable to drive. The Renault’s six-speed manual gearbox offered smooth, trouble-free shifts. Its fuel use is on the high side, claimed at 8.3L/100km. The Vito base model’s 2.1-litre turbo diesel four-cylinder produces only 70kW at 3800rpm and just 250Nm at 1200-2400rpm. It felt the least powerful by far, too, with running out of puff quickly. Despite its low outputs its fuel use isn’t stellar at 7.7L/100km. The rear-drive Merc’s six-speed manual gearbox was the opposite of the Scudo – its shifts were tight and unforgiving, with short gearing and a clunky clutch pedal. Vans need to be comfortable and easy to drive and park. That’s where road manners come into play. There is a clear winner in terms of driving comfort and manoeuvrability, and it is the Ford. Its ride and body control are exceptional, aided by its 2933mm-long wheelbase, and its car-like steering is quick to react and backed by a tight turning circle. Its large split-vision side mirrors make judging the surrounds easy and, given our car had the full kit of sensors and a reverse-view camera, it topped the test for parking prowess. The Volkswagen was judged second best for its manners. Its steering is lighter and, while takes a bit more turning than the Ford, we found it stress-free to pilot. Its ride is well controlled – even with an empty load zone – thanks in part to its 3000mm wheelbase, but sharp bumps can make its body wobble from side-to-side. The Renault also has slower steering than the Ford, meaning a bit more gruntwork for parking moves, and its ride was also well controlled over small bumps thanks to its settled 3098mm wheelbase. That back end could stumble over sharp edges, though. The Vito’s ride was on the firmer side but still proved itself to be composed when dealing with speed humps and potholes. Its steering was light but accurate and responsive, making for easy going during city duties. The Scudo felt the rolliest through corners, perhaps because of its driving position. Its comfortable suspension and 3122mm-wheelbase helped protect its occupants nicely, but the Scudo’s steering felt vague and hard to judge, and its tyres ran out of cornering grip too easily – a problem for darting drivers. The iLoad’s long, 3200mm wheelbase (the same as the Merc) means it should cosset its occupants from bumps, but we judged its suspension to be quite unsettled, particularly at low speeds. Its steering was quicker than some, striking a nice balance in terms of effort and response. The least comfortable – by quite a margin – was the Toyota. Its hunched driving position is hard to live with, but while its steering was accurate and twirl-able, it was the HiAce’s uncompromising, bouncy ride that irked us most, some of which must come down to its short, 2570mm wheelbase. The HiAce was also the loudest inside: we used a decibel meter to judge each van at highway speeds, and the Toyota posted an 85dB reading, while the majority were about 80dB and the Ford’s refinement (and its insulating bulkhead) shone through with a 76dB score. Low-cost maintenance and trouble-free ownership are two important factors for work vehicles such as vans, and all of these vehicles go some way in addressing each of those issues. 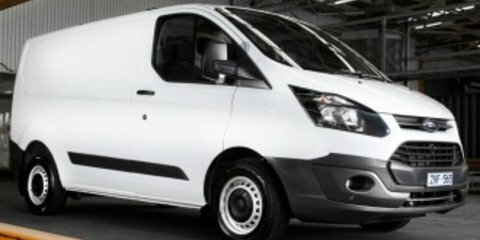 With workhorse vans such as these seven expected to spend daylight hours on the road than off it, it’s no surprise that manufacturers are aiming to lure buyers in with lengthy warranties and capped price service programs. The Hyundai iLoad offers the lengthiest, most comprehensive warranty – a full five years with unlimited kilometre coverage. It also has a three-year capped-price servicing scheme with dealer visits due every 12 months or 15,000km at $349 per service. Others offer good levels of cover, including the Fiat Scudo’s five-year, 200,000km warranty. It doesn’t come with a capped-price service plan, but over a period of five years or 75,000km, the average yearly quoted cost (provided by Fiat Australia) is $321. The Renault is offered with a shorter, three-year, 200,000km warranty and also comes with a capped price service program for first three years priced at $349 per service (due every 15,000km or 12 months). The Volkswagen comes with a three-year unlimited km warranty and is also covered by a lengthy capped-price service campaign over six years or 90,000km. However, it is the dearest of these seven to service, with an average yearly cost of $547. The Ford Transit has a less impressive three-year, 100,000km warranty, but it compensates with an extensive capped-price campaign for up to seven years or up to 135,000km (depending which comes sooner) with 15,000km intervals. Over that period prices average a competitive $377 per year. The Toyota HiAce mirrors the Ford’s warranty (three years or 100,000km) but only has capped price servicing for the first three years. Services are due every 6 months or 10,000km at $170 per visit ($340 annually) meaning busy van owners will need to remember two scheduled visits per year. The odd man out here is the Mercedes-Benz Vito, which has no standardised capped-price plan. However, owners can pre-purchase a service plan that can be paid monthly (handy for the work budget) with schemes ranging between one and seven years in duration. These also allow owners access to discounted parts and labour over the term. 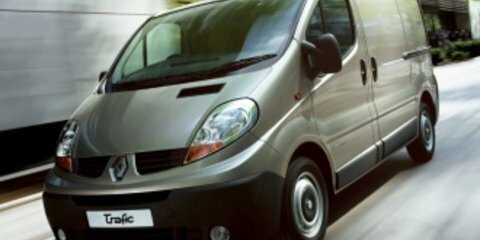 That said, it essentially requires standard service visits every 24 months or 23,000km – but the van will also tell you if it thinks a service is needed more or less regularly, based on information gathered by on-board sensors. Its warranty is three years or 200,000km. As tools of the trade, there are some vans that are sharper than others. The Toyota HiAce may be on top of the sales charts, but times have changed since it launched in its original form four years ago. Its recent mid-life spruce has added some nice extras – that standard reverse-view camera deserves applause – but its lack of ESC availability, unlikeable road manners and cabin noise see it run last in this test. Another big name falls next, with the Volkswagen Transporter bowing out second. It is arguably the most relaxing to drive, but it lacks equipment that should be standard in this day and age, particular at the price VW is charging. We’d be hoping for an update – with plenty of value-adds – soon. The Mercedes-Benz Vito also falls short of the prize mainly due to its high price – but its drivetrain lacked the finesse we expected, too. Fiat is next out. 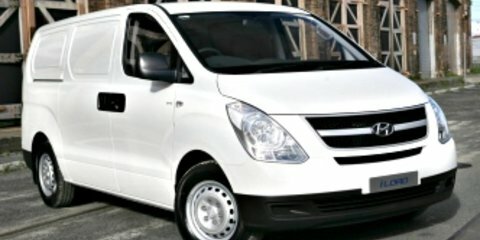 The Scudo does offer an attractive buy-in price and unique car-like drive experience, but despite some clever elements to its cabin, it can’t match its newer rivals for refinement. The Hyundai iLoad is a worthy third place. It could be cheaper, and is starting to show its age in terms of equipment, but its strong diesel engine and automatic transmission combination, not to mention its top-notch ownership credentials, get it a spot on the podium. The Renault Trafic was by far the surprise packet here. With sharp drive-away deals ahead of the new model being launched later this year, it offers a convincing option for buyers after a well-equipped and highly practical van – though we’d expect the new model to score much higher for safety. That leaves the Ford Transit, which is both the best van to drive and live with, as well as the most practical and safest for its occupants. Its lack of an automatic gearbox will be enough to rule it out for some, but even with its manual transmission it’s certainly not hard work. Photography by James Ward. Click the Photos tab above for dozens of detail images inside and outside of these vans. Thanks to Crommelin Waterproofinging and Sealing for allowing CarAdvice to make use of its premises and equipment on shoot.